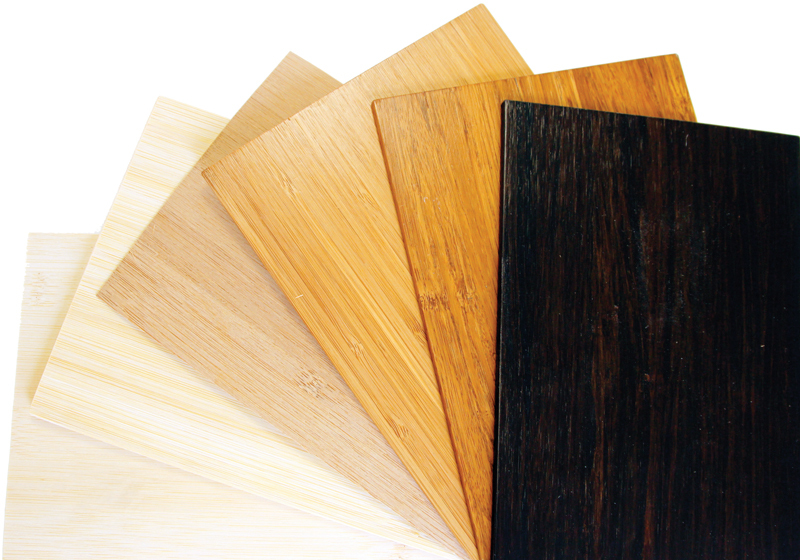 Lamboo claims its Lamboo Elite “engineered bamboo” for aircraft interiors can be stained or dyed to match most colors and can accept high-gloss finishes. Bamboo? In a business jet cabin? Luke Schuette laughs, the kind of satisfied laugh you get from an entrepreneur who took a chance, launched a company and turned the dream to reality. Lamboo is the company name, and Schuette is its founder and CEO. Lamboo is also the product, “an engineered bamboo product that is used within architectural, structural and design applications, and is structurally superior to its wood counterparts,” according to the Springfield, Ill.-based firm. Schuette describes the five product lines currently on the market as sustainable alternatives to standard building material composites currently in use, for everything from structural beams to panels to veneers. • high dimensional stability that makes Lamboo Elite elements 20 percent more stable than hardwoods and up to 40 percent more stable than softwoods such as pine or Douglas fir. • natural anti-fungal and antibacterial agents that are inherent in bamboo. • bamboo’s chemical composition makes it extremely dense and stable under harsh conditions, such as high ramp temperatures or low temperatures at high altitudes. • Lamboo products are created with low-VOC adhesives and do not produce off-gassing during sanding, profiling and handling. • tools typically used for woodwork are equally effective with Lamboo, which can be milled, sanded and finished in a fashion similar to hardwoods. Lamboo Elite, produced in panels, components and veneers, is designed specifically for the aviation industry, meets FAA flammability requirements and comes ready for finishing and installation.